I have had several clients ask about “Agency” laws and how they work for the buyer or seller. When a buyer has the “first substantial contact” with a Realtor® , the NC Real Estate Commission expects an agent to present and explain a brochure called “Working With Real Estate Agents.” This brochure explains who the agent actually represents in a given transaction. In other words, the buyer should know that the agent represents the buyer, the seller, or is acting as a dual agent representing both the buyer and the seller. Below is a list of terms and their definitions with regard to agency representation. As you can see, there are multiple ways an agent can work with parties in a transaction. Just make sure that your agent discloses to you how they will be working, and that you understand the “Working With Real Estate Agents” brochure. Please contact us if you have any questions regarding agency. I read this article in Realtor® Magazine and thought it might be helpful to pass along. The article originally appeared in The Wall Street Journal. 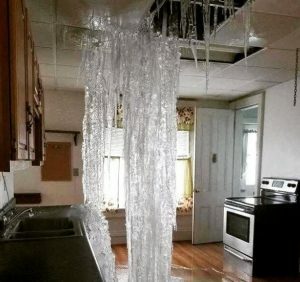 Homes are increasingly flooding, not from weather-related events but from old pipes and valves, worn-out hoses on second-story washing machines, and faulty connections from appliances that use water, The Wall Street Journal reports. The uptick has sparked an increase in extensive water damage to homes that has been reported to insurers. One in 50 homeowners filed a water damage claim each year between 2013 and 2017, according to Verisk Analytics’ ISO insurance analytics unit. Insurers have faced a $13 billion water damage bill from insuring homes. Claims for water damage average about $10,000, according to the report. Contributing to the rising risk, more homeowners are putting their laundry room upstairs. Leaks and water damage from these upper units can cause extensive damage as they move from the upper floors to the lower ones. Also, the rising number of aging homes with old pipes is causing damage to many homes. 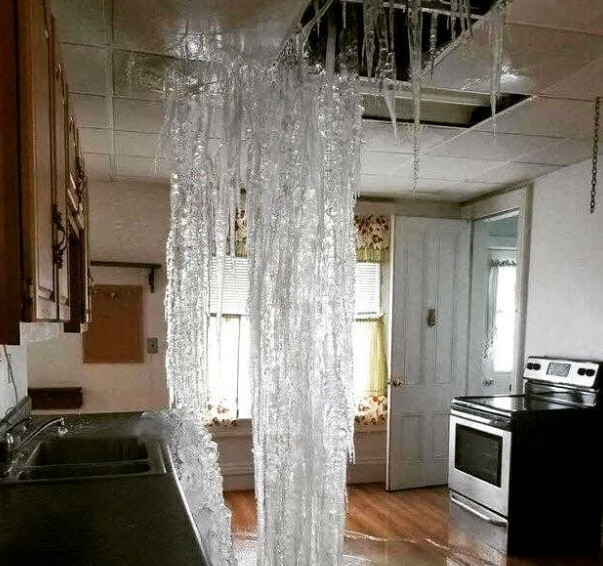 Luxury homes aren’t immune to water damage from old or faulty pipes. An oceanfront property in Southern California had a 12-foot seawall around it to protect it from outside flooding, but a second-story toilet tank crack caused more than $1 million in water damages. The repairs—to the home’s oak floors, walls, artwork, home theater, and more—also took more than eight months to complete. In a pilot program, USAA is having 6,000 policyholders test water-detecting sensors, which are devices to help spot potential water damage before it becomes more extensive. Also, AIG and some other insurers are offering premium credits for policyholders who use technology that can help detect water leaks. Homeowners must realize that not every water damage bill will necessarily be covered by insurance. For example, standard homeowner policies exclude storm surges and river flooding from coverage. Also, most homeowners’ policies will cover “sudden and accidental” damage but not routine maintenance. As such, homeowners who have ignored a slow leak for months may find insurance denies their claim. The article below is from REALTOR® Magazine Live. I thought it was a timely and interesting take on the items prospective buyers rank as features they desire when purchasing a new home. I recently came across this article and thought it was good information for both home buyers and sellers. Let me know your thoughts. We had one of the biggest snow storms last weekend we have ever had this early in the season. 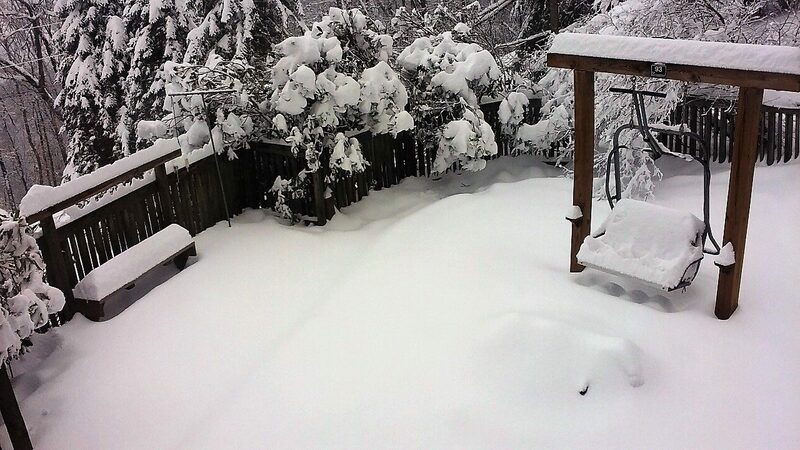 Most of the areas around Maggie Valley had 14 inches plus of heavy wet snow. The above picture is the side yard at my home on Utah Mountain. We were snowed in from Saturday night until Monday afternoon when the HOA plowed our road. One of the benefactors of the snow fall was Cataloochee Ski Area. As of yesterday, they had all their trails open including the Meadow, which is a trail from the top of the mountain (accessed by the double chair lift) out of the woods into the horse pasture. The trail is wide open pasture that curves around the mountain and comes back in above the triple chair lift. This trail is only open with natural snow, so most years it is not open. Cataloochee is reporting a 45 to 73 inch base with 19 trails open for skiing and boarding. Cataloochee Tube World in Maggie Valley is also open for tubing. Tube World is down in the valley, across from the Ghost Town parking lot. The weather forecast is for a bit of rain today and tomorrow with highs in the 50’s for most days next week. Come on up and check out the mountains in winter.